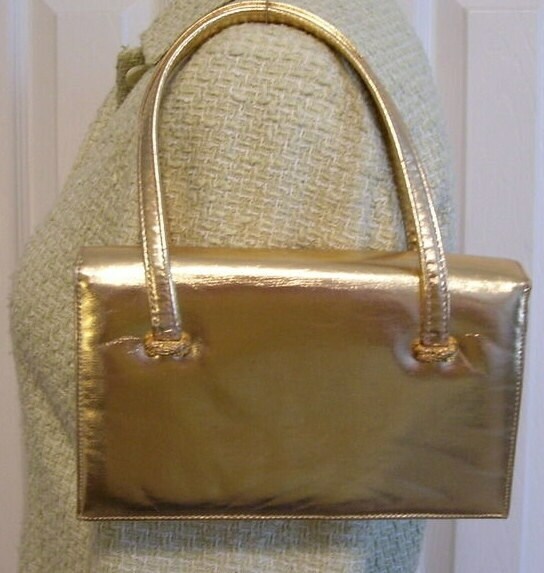 Vintage gold lame bag by famous bag maker, La France. 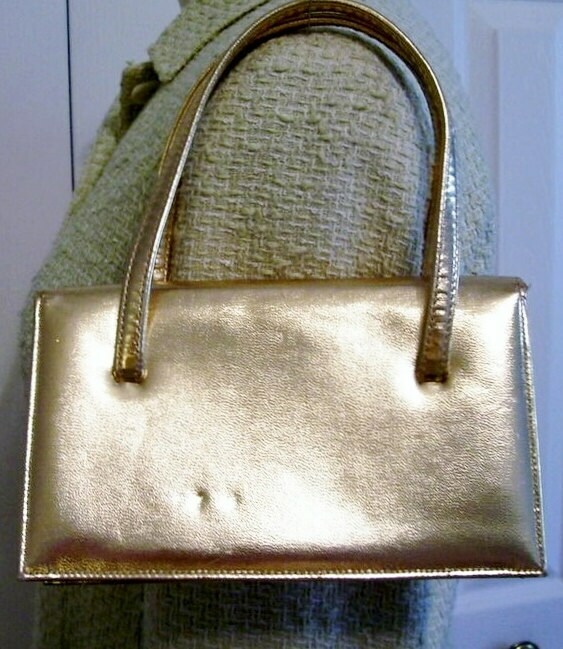 A classic day to evening handbag. 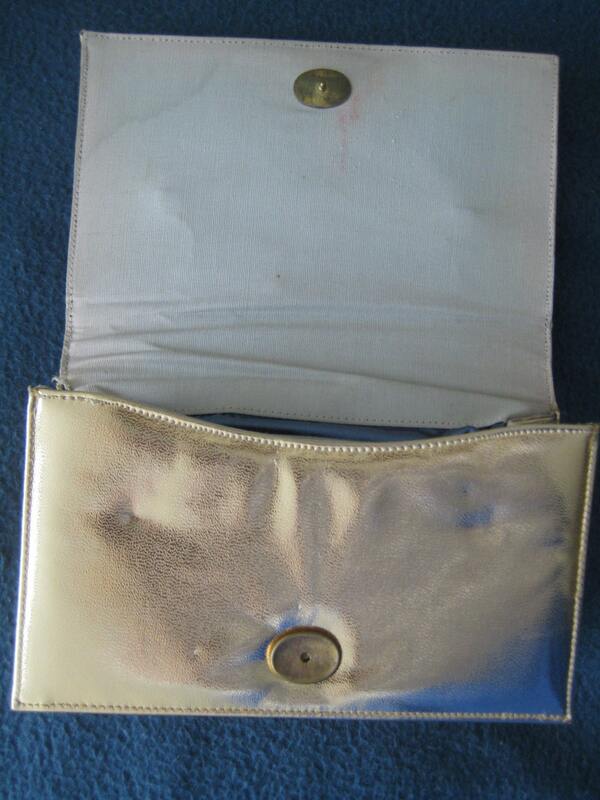 Faux leather gold lame is in great condition with the small inundation mark (as shown) on the back side. Gold tone metal insert snap holds firmly. Gold lame double straps have a 4.5 inch drop. Beige polyester interior has a water mark on the inside cover but otherwise in good shape. 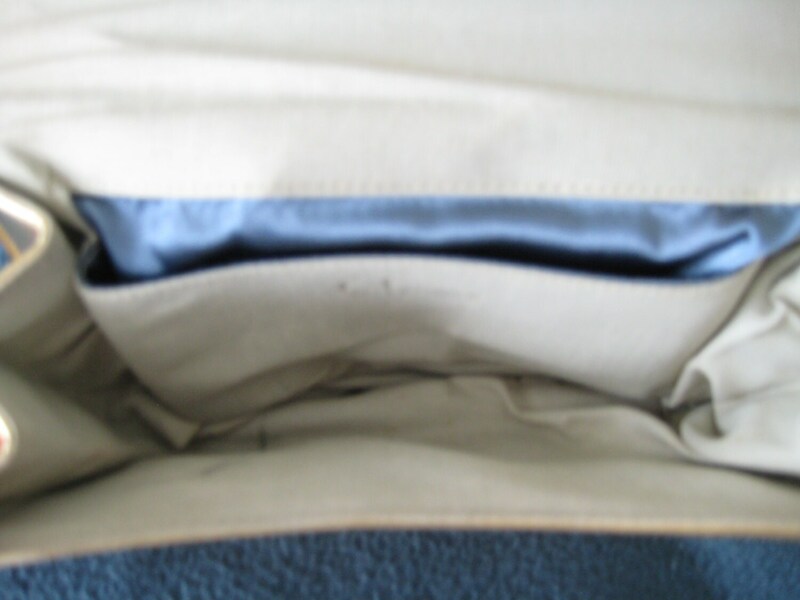 One interior patch pocket with pretty blue satin lining. Expands to hold all you'll need for an evening out! Dimensions: 7.5 inches long x 4.5 inches high x 1.25 inches wide on the side (expands to 2.5 inches).